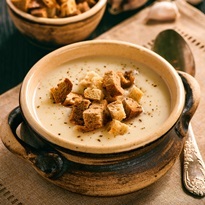 This creamy garlic soup recipe was originally shared with us by Pacific Foods about 12 years ago. My how time flies! We’ve given the post a full overhaul, and updated the ingredients and instructions for clarification. But the core recipe remains the same. The rich base is made from a deliciously rich blend of roasted garlic, almonds, and breadcrumbs. By ingredients, this recipe is dairy-free / non-dairy, egg-free, optionally gluten-free, peanut-free, soy-free, plant-based, optionally vegan, and optionally vegetarian. Almonds, roasted garlic, bread, and just a little milk beverage create a creamy finish in this fulfilling soup. Split the garlic cloves in half, width-wise and place them cut sides down on a heavy baking sheet lightly coated with oil and salt and pepper. Pour 1 tablespoon olive oil over the garlic and roast for about 20 minutes, or until the garlic is soft and will squeeze out easily from the skin. Spread the breadcrumbs on a baking sheet and pop the sheet in the oven to toast until golden brown and dry, about 10 minutes. Heat the remaining 2 tablespoons oil in a heavy saute pan over medium heat. Add the onions and saute until translucent. Reduce the heat to low, and continue to cook, stirring occasionally, for 20 minutes, or until golden brown. Season the onions lightly with salt and pepper. Place the almonds and toasted breadcrumbs in your food processor or spice grinder and process until very finely ground. Transfer the mixture to a mixing bowl. Add cooked onions and garlic to the food processor and puree until smooth and creamy. Add the broth and milk beverage to a large pot, and bring the liquid just to a boil. 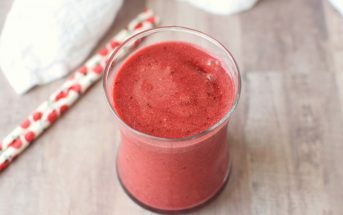 Place 2 cups of the hot liquid in your blender. 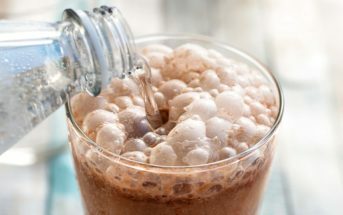 Add the ground almonds, bread, and onion-garlic puree to the blender and blend until smooth and creamy. Whisk the blended mixture into the remaining broth in the pot. Season to taste with salt and pepper. Optionally serve with crusty bread, top with croutons, or garnish with parsley to serve. Store leftovers in an airtight container for up to 3 days, or freeze the soup to enjoy later. 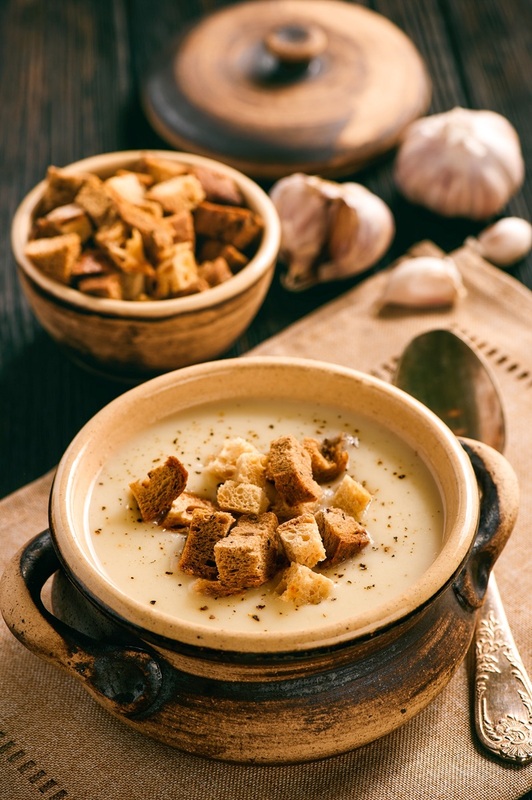 Pin this Creamy Garlic Soup Recipe! Want More Dairy-Free Recipes? Enjoy Eat Dairy Free! What would be best to substitute out for the almond milk and almond? 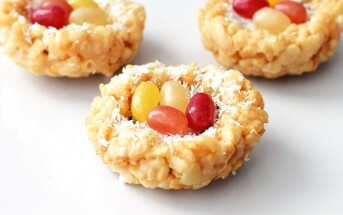 Would love to make this, but my roommate is allergic to tree nuts. So cashew milk is out as well. Any suggestions would be great! Thanks! Can they do coconut? I like unsweetened coconut milk beverage in soups. Other good options are unsweetened soymilk or rice milk beverage. Flax milk is an option, but I would get the one without protein added. It’s been pretty chilly here, so this garlic soup would be PERFECT for the weather! And especially perfect for dinner tonight 😉 Saving this recipe! Holy does that ever look creamy and flavourful! I love dairy-free options for creamy soups like this. It’s still pretty cold in Vancouver so I can probably get away with another week or two of soups before I feel like salads all the time! The warm weather lasted a day here so thank goodness for this soup recipe! This soup is calling my name! You can’t go wrong with garlic and this soup just looks so creamy. Yum!